If you wondered why there has been an invasion of thousands of people slowly walking around the streets of your town with their eyes glued to their smartphones, it is not the apocalypse! They haven’t turned into zombies. It is just that the hottest game in town was released last week – Pokémon Go. In this post, we will take a look at what it is, why it is important, and more importantly, how small businesses can capitalise on the marketing opportunities presented by this game. Based on the hugely successful Pokémon series that began in the 90’s, Pokémon Go is a mobile platform app for Android and iPhones. Utilising relatively new technology called Augmented Reality, wannabe Pokémon trainers worldwide can capture, train and battle animated creatures called Pokémon in the real world via their apple or android device. Augmented reality uses a person’s smart device and its camera to alter how the world is seen through the lens. The technology uses the camera to display an image of the real world with computer generated images super imposed over the top. In this case it allows people to see Pokémon, but it can also be used in places such as businesses, museums, churches, libraries and landmarks to display the history or backstory of a location or business. 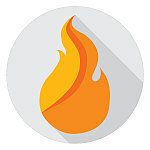 The app has been co-developed by Niantic Labs, (which was originally part of Google Labs and spun out of Google as an entity in its own right in 2015), and Nintendo. Niantic Labs had some success with a previous AR game called Ingress. This game did not have the same commercial popularity and uptake as Pokémon Go. However, Ingress had a band of extremely loyal players who through their game actions crowd sourced the locations that now form part of Pokémon Go. Not all the locations submitted by Ingress players have made it into the Pokémon game. Before we can talk about the business implications, you need to know a bit about the game and how it is played. After signing into the app with a Gmail account, players are asked to pick their first Pokémon out of the 3 original starter Pokémon for the Kanto region of the game. This Pokémon starts the player off on their journey and also teaches them the basics on how to capture a Pokémon. Pokémon Go is one of the first mainstream mobile games that encourages the player to move and explore the world in order to get in-game rewards. Pokémon can appear anywhere including in local parks, beaches and bushland so you can’t always reach them by car. Pokémon in the original series were mainly found in nature, so this aspect has been emphasised in the game design. Every neighbourhood is scattered with locations called Pokéstops (marked on the map by a floating blue cube on top of a pillar). These stops drop items that are useful to the player such as Pokéballs and eggs that aid in gameplay. 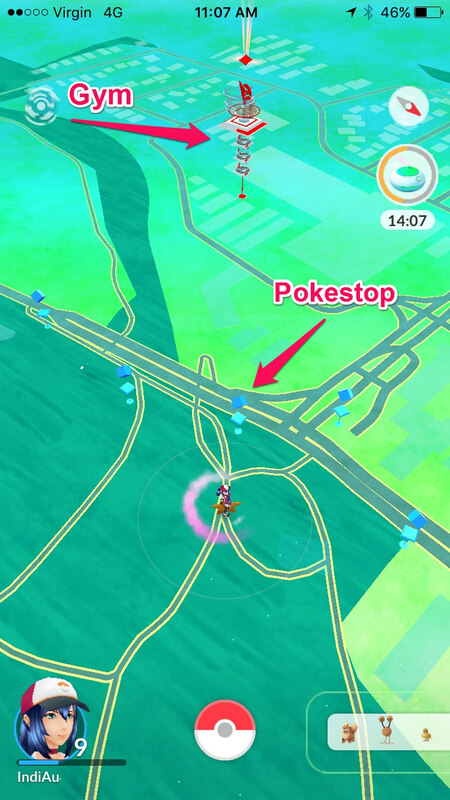 Items called lures can also be attached to the stops which actively draw wild Pokémon to the area for 30 minutes. Multiple people can use a single lure, so it’s not uncommon for groups of 20+ people to gather in the area to take advantage of a lure. Eggs are one of the main items dropped from Pokéstops and also one of the main motivations to get players moving as they can only be hatched by walking (or driving under 30km an hour). The distance that needs to be covered depends on the type of egg. There are 2km eggs, 5km eggs and 10 km eggs. Each type of egg houses a different variety of Pokémon, but players don’t know what they have until it hatches. Another key part of the game are gyms. Like in the original Pokémon games, gym battles are an important part of the game play. Certain locations have been designated as gyms in Pokémon Go and they are shown by larger totem poles on the Pokémon maps. When reaching level 5 a player is asked to pick one of 3 teams to represent: Team Mystic, Team Valour, or Team Instinct. Once a team is picked the player can then go and battle the gyms in the area and try to claim or strengthen the gym for their team. Battling against a gym that your team owns is called “training” and makes the gym stronger and more coveted by the opposing teams. You also gain XP (experience points) from training which helps you level up. Battling is relatively easy to do but tricky to master. It involves rapidly tapping the opponent’s Pokémon in order to land attacks on it, while at the same time swiping left or right to avoid return attacks. As the battle goes on, your Pokémon will build up energy for a special attack. If the match goes on long enough you can activate the special attack by holding down on the screen. This attack usually does more damage than an ordinary attack. A battle ends when one of the players run out of health and their Pokémon faints. Your Pokémon will need to be healed or revived using items such as potions and revive crystals before it can battle again. Currently players can only battle at gyms but in future updates a player vs player feature will likely be added so trainers can battle against other Pokémon Go players. 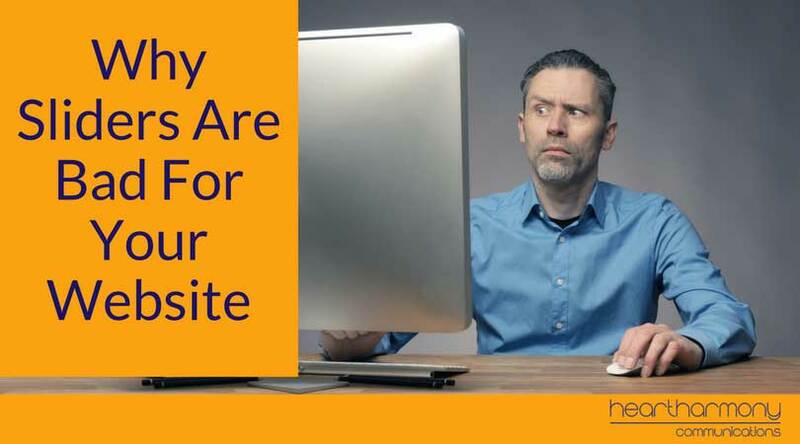 Why Does Your Business Need to Pay Attention To This Game? Normally most small businesses can safely ignore the release of a new game on the market. Not this game. 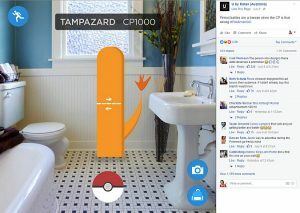 This is the first augmented reality game that has caught mainstream attention in a massive way. Pokémon Go has captured the attention of the notoriously hard-to-market-to millennials, just at a time when they are starting in the workforce and they have both time and disposable income. It has also been welcomed by families with young kids, as well as older people who love technology. It has crossed age, gender, income and demographic boundaries. This past few days has seen people who normally hide behind computer screens, alone at home, willingly go outside in the sunshine and exercise. It has done more in the past few days to encourage people to exercise than all public health campaigns from the past decade. The game has created a sense of community amongst players. Lures set in residential locations have brought together people who live near each other but who have never before met. They stand around and chat while they are waiting, which has led to connections, meetups and a new sense of community. Kids on the autism scale who struggle to communicate have been warmly welcomed as peers and equals by others playing the game. I watched one little boy on the weekend excitedly share what he had found with adults and teenage boys at a Pokéstop. They were actively listening (not in a patronising way, but with genuine interest). His parents were stunned as this little boy doesn’t normally interact with strangers and by the end of the interaction this kid looked like he had grown about a foot taller with confidence. Pokémon Go has created the opportunity for shared family outings, with mum, dad and the kids all exploring together, and communicating in more than grunts. The app is currently only available in Australia, New Zealand and the USA and has only been on the market for less than 5 days, which makes this data even more impressive. But even with a limited release, the servers keep crashing with the load of people all trying to log on at once. The blue screen of death has taken on a whole new meaning! In other words, this app is not only the fastest growing app currently released, it is also the top money performer. 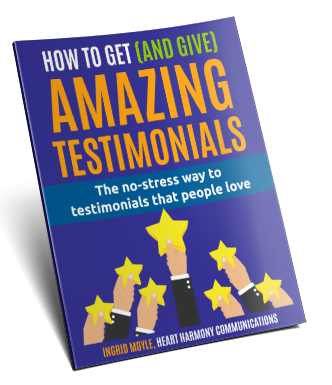 This has also been achieved without large amounts of paid advertising, with a large part of the success coming from word of mouth referrals from key influencers. With the enormous numbers of people playing the game, meeting up to share the game experience and walking around their city, businesses would be short-sighted not to capitalise on the opportunities given by Pokémon Go. Help: My Business Is a Pokéstop! The number one opportunity comes if your business (or a location just outside your business), has been identified as a Pokéstop. With a Pokéstop, people can lay down a virtual lure to attract Pokémon to the location. 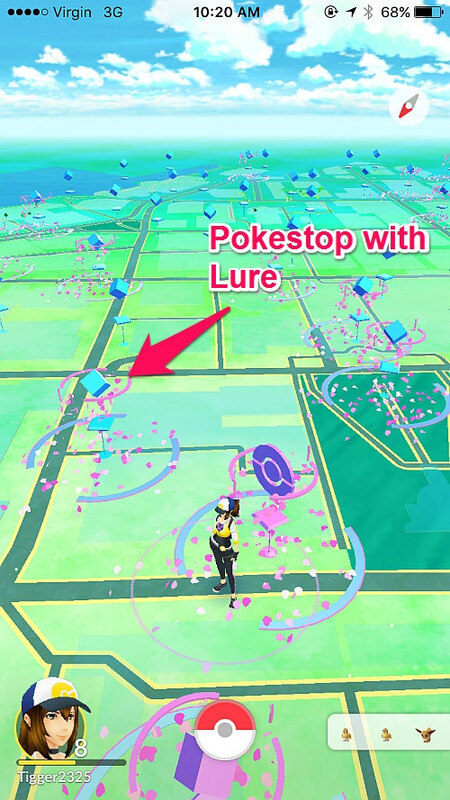 Each lure runs for 30 minutes and the lure is accessible to anyone standing at that location. This means that when a lure is laid down, people will also congregate around the lures. In many locations, lure after lure is laid down, and people can stay for hours in order to capture the maximum number of Pokémon. 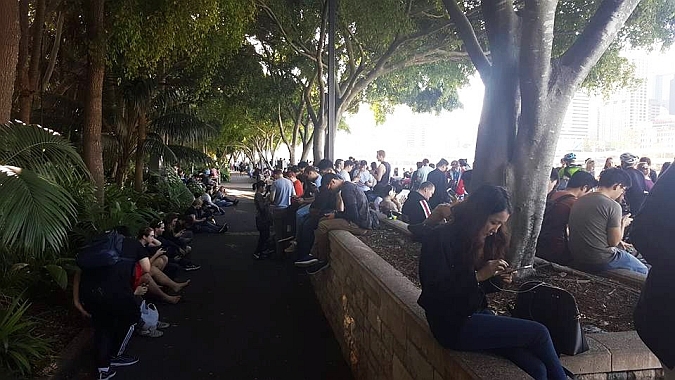 Southbank Brisbane – The first Sunday after Pokémon Go was released. If your business is a Pokéstop, you can expect a lot of people suddenly hanging around your business. How you manage that will be the difference between profit and poverty. 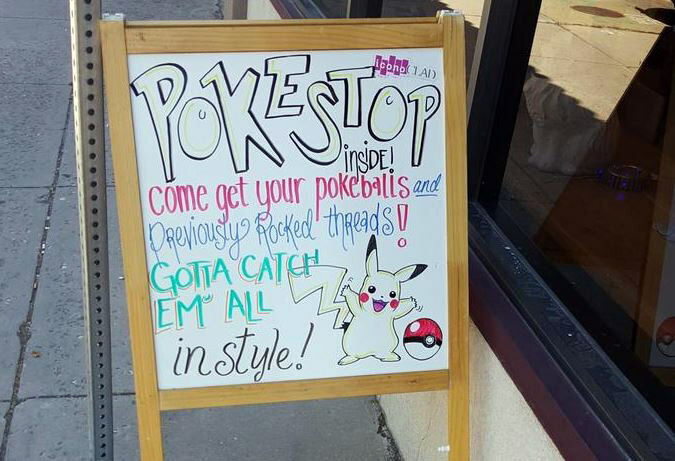 Smart business owners are publicising their status as a Pokéstop, and are inviting people inside their store to look around and rest while they play. 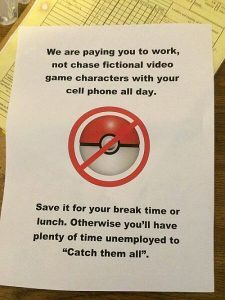 This works particularly well for restaurants and coffee shops and works even better if the business owner pays for lures to run at peak times. (A princely $1.49 per lure if bought singly). We understand that the Story Bridge Hotel as well as a local sushi store have adopted and profited from this approach. Other smart businesses are filling other needs that comes from a day of chasing. Some provide power boards so Pokémon hunters can recharge their phones. Some are selling water bottles and even providing Band-Aids for blistered feet. The thing to remember is to be of genuine service and not blatantly go in for the sale as millennials will run a mile from overtly commercial approaches. Help: My Business Is a Gym! Gyms are where people battle their Pokémon to take control of the location. From a business perspective, this is not as attractive. What you will see at a Pokémon Gym are generally a person or a small handful of people who will stand outside your business for 5 minutes or so – madly tapping at their phones. They will then leave. A bit later this will be repeated by different people. Later on, the original people will return and do the same thing. Gym battling is mainly a solitary sport and is much harder to capitalise on. On a plus, these people will become regulars to your doorstep. On a minus, they are less likely to stay for long periods of time, and often will appear at all times of the day and night. The best solution is to actively go out and engage with the people. 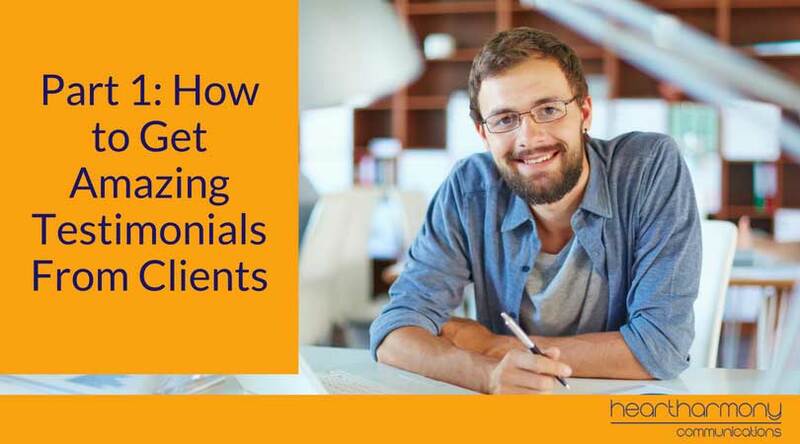 Say hello and introduce yourself and your business. Get to know the Gym leaders and try and form a friendship with them. At the very least, they could be part of keeping an eye on your business for you in a form of de facto neighbourhood watch. Actively go out and introduce yourself to the gym leaders & contenders. 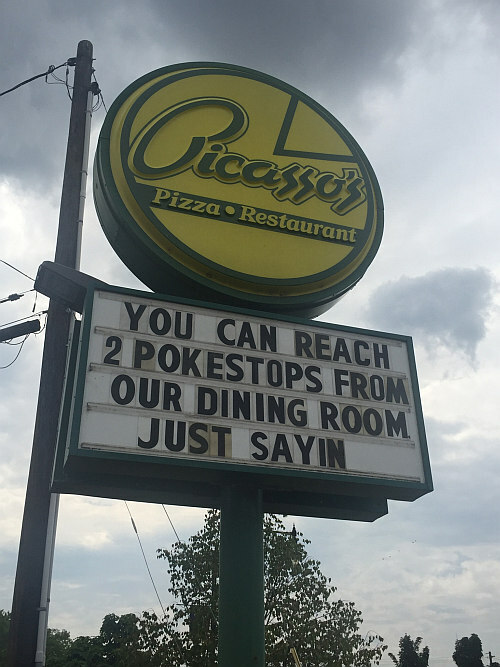 But I Don’t Want My Business Listed as a Gym/Pokéstop. I Had No Say In It! Spare a thought for Boon Sheridan who bought an old church to live in and discovered when Pokémon Go was released that his house was listed a gym. Some of the problems he has had include people hanging around 24/7, and parking across his driveway. Private residences are excluded under the old Ingress criteria, but there is no current publicised process to have places removed from the list. One impact this may have is on the property value if random people visit a house or location 24/7. Some properties may increase in value, many will decrease. If you are negatively effected, all you can do in these situation is contact the developer and request to be removed. Based on the experience of people who used Ingress, these may take many months to process. Help: My Business Is NOT A Pokéstop/Gym! So you missed out on the Pokémon Go lottery! You can still capitalise on the craze even if you are not a bricks and mortar location. 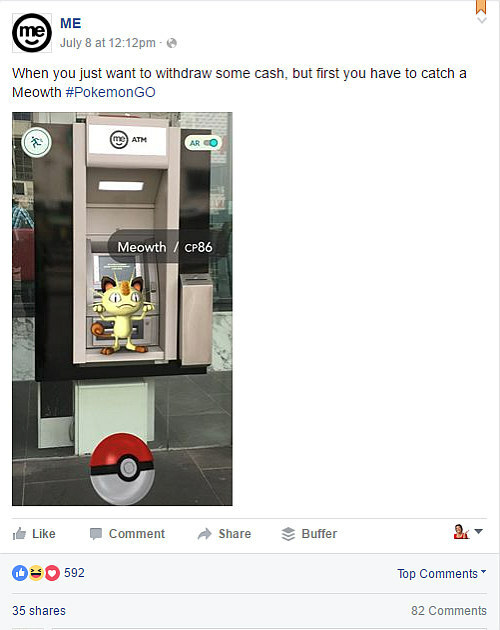 Some businesses have taken to social media to share Pokémon related images/tips. 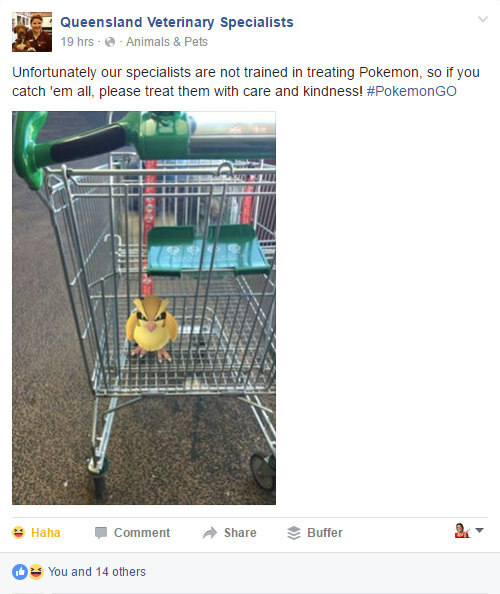 Woolworths are the current reigning monarchs on Pokémon social media. Their post on the weekend has received over 39,000 likes/responses, over 7800 shares and 15,000 comments. Whoever is running their social media team deserves a raise! But did the post result in more people visiting the stores? Definitely yes. People were uploading their photos to the post showing their “catches” within particular stores. Scroll through the comments to see how brilliantly they are doing their social media. ME Bank also had their own version of this post. Again a not too shabby 592 likes/reactions and 82 comments. 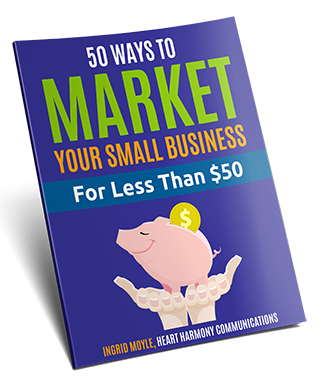 There are other businesses proving you don’t have to be large to use social media. 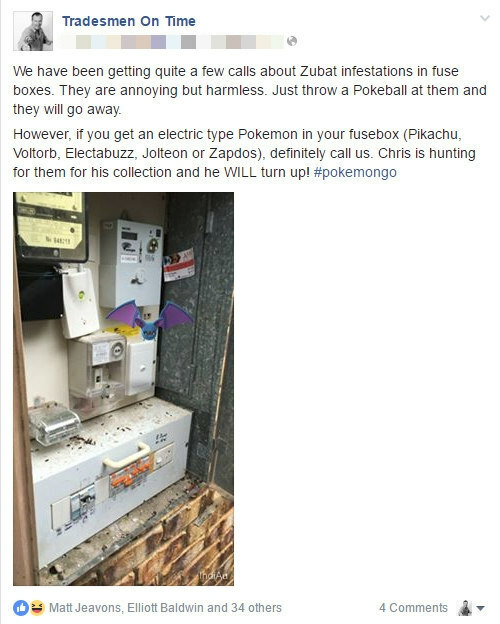 Here’s a local electrician’s take on it. A small local vet practice has had their own attempt. Not as many likes as photos of cute puppies, but a worthwhile go. The point is that you don’t have to have a Pokéstop or Gym to be part of this phenomenon. Find a logical link to your business and use that. One proviso – don’t try and force the link. This post from Kotex is having a mixed response. Can I Get My Business Listed as A Pokéstop/Gym? Right now the answer is no. The locations were drawn from the game Ingress (a previous augmented reality game by the same company). They are unfortunately not taking submissions for new listings. The developers have just announced that they will be offering licences to businesses to be lised as a Pokéstop in the future, in return for a fee. No word yet on the price of the licence. Physiotherapists, podiatrists & shoe stores – Comment about the sore feet/legs of the players. Promote shoes for all day hunting. PTs and gyms – Help people get a Pokémon ready body (or keep up the good work from their walking). Create competitions within the gym/squad based around Pokémon. Have a game playing in the background and give 20 burpees for every Zubat that flies in during class. Offer free one-week membership for people over Level 10 or who bring in a particular Pokémon. Retail stores – Phone chargers are the number one essential item for all players for on the go hunting. 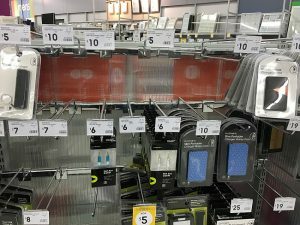 Most stores have charger stock levels decimated. Put chargers up front in the same way you do with umbrellas when it is raining. Rearrange your displays so people can easily see any Pokémon merchandise near the cash registers. Food carts – Check where large crowds and meetups/events are scheduled … and be there to feed the hungry crowds. The Brisbane Southbank coffee carts and ice-cream carts have been making a killing over the weekend. Bike Shops: Promote your phone mounts for bikes. Many of the people use bikes in their chase and are struggling juggling phones and pedalling. 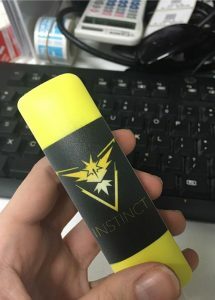 Branded apparel – If you run a t-shirt business or any other printed apparel, offer Team Mystic, Instinct or Valor printed apparel and merchandise. Remember to also list on eBay and Etsy to get maximum reach. Coffee Shops: Offer discounts for certain teams of the day or if they have caught a certain Pokémon. Tech: Get Pokémon groups on Facebook and give advice on the best chargers to buy or how to save battery life. Phone shops: Phone shops have reportedly been swamped with people wanting to upgrade their phones to be able to play the game (older phones don’t have the functionality). 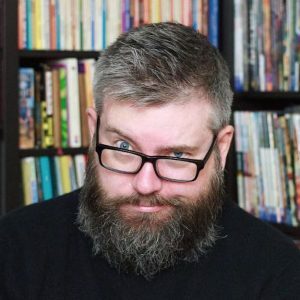 Create a special “Pokémon Upgrade” line. These buyers just want to upgrade ASAP, so offer a speedy upgrade service. Real Estate Agents: Having a Pokéstop near a business could influence the desirability of the property and rental return. 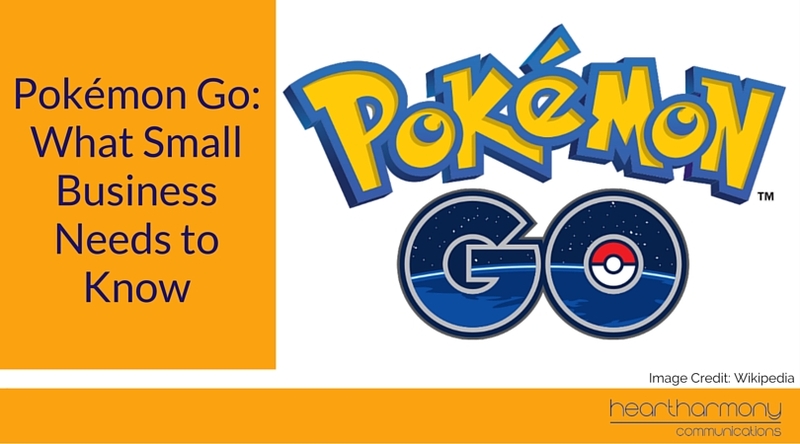 Read More: How to capitalise on the Pokemon craze for your business. If you have employees, this game has potential HR implications as employees may push the boundaries of breaks, continue to play while at work instead of working, or play while driving. Many players are also playing throughout the night, which can impact on tiredness the next day. Don’t ignore it. Have a chat this week and remind people about your Code of Conduct, and your behaviour expectations. Just in case you wondered, this is not the way you have the discussion with your team! On a positive note, you can use Pokémon Go as part of your team building process (assuming all your staff are playing the game, or have the capacity either physically or technologically to play the game). You can also offer team Pokémon hunts during lunchbreaks to increase fitness as well as build connection with your team. 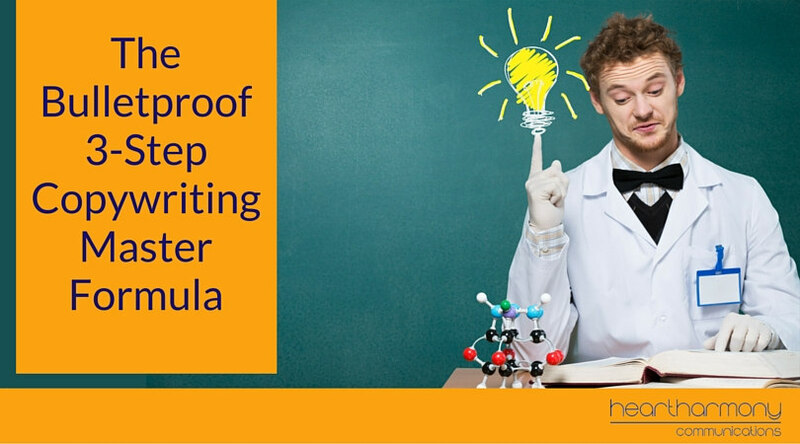 Like all trends, you need to get in quick while the wave is building to maximise your return. Test out some small strategies this week to check proof of concept, and don’t overcapitalise until you have seen the outcomes of any tests. 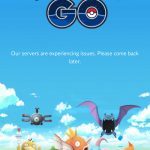 Will Pokémon Go continue to boom? School has just returned from holidays, so expect even more take up in the coming few weeks. Europe, Africa and Asia are still to be rolled out with massive pent up demand already being shown in those areas. Want to capitalise on the next big trend for your business? Contact us to explore how we can help you identify and capitalise on emerging business trends. Rachel Cliff is a highly compelling copywriter and blogger in Brisbane, specialising in trades and construction machinery. She has the remarkable knack of turning complex concepts into plain English and easy to follow instructions. When not crafting word magic, Rachel turns yoga mats into suits of armour for Cosplay competitions, and has a slight obsession with K-Pop music and dance. Woah…what a brilliant summary Ingrid – thanks for all of your research! Thanks Judy. This was a fun one to research!